commented on "Karen joined forces with Karen Price and Peter Millward of the Nelson Historical Society to present a centennial display and information ..."
Karen joined forces with Karen Price and Peter Millward of the Nelson Historical Society to present a centennial display and information table at Founders Heritage Park remembering the more than 40 Nelson men who died on Nelson's Darkest Day of World War I, 12 October 1917, at Passchendaele, Belgium. Descendants of many of the men killed that day, or who were mortally wounded and subsequently died of their wounds, came along to the display. 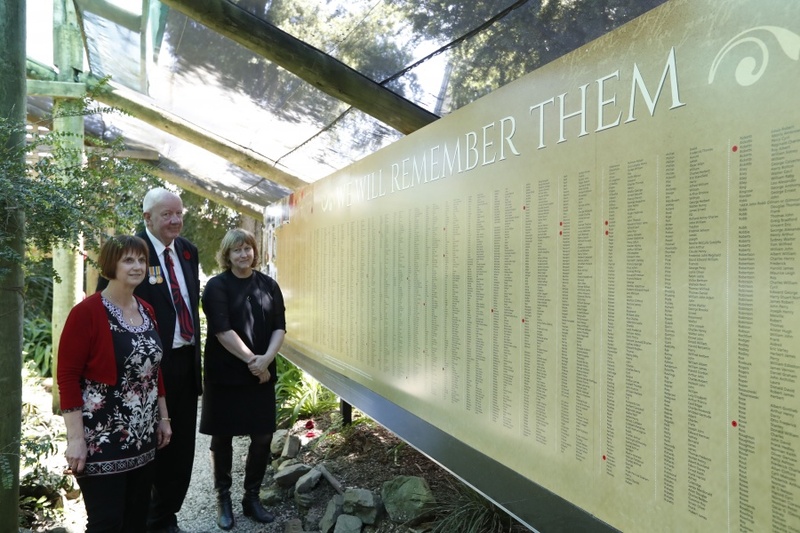 They viewed the Wall of Honour in the park's memorial gardens, which lists more than 3000 people who served from this region in World War I, read our display panels about Passchendaele and the role of the Nelson men in it, looked at photographs of those who never came home, and shared family stories and treasures with us. It was a special day.